Will Osian's Investors Finally Get Their Money? Will Investors Finally Get Their Money? 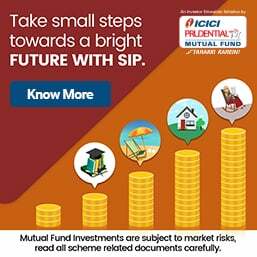 A15th April order by the Securities and Exchange Board of India (SEBI) has finally closed a chapter on the liability of Osian’s Art Fund—an investment adventure backed by unprecedented media hype, mainly through the Page3 presence of art impresario Neville Tuli, its long-haired founder. So great was the hype, that when ABN Amro Bank began to sell the Fund, it found willing takers among CEOs of mutual funds, brokerage houses and partners in global consulting giants. The three-year close-ended fund raised Rs102 crore in 2006 and was wound up in July 2009 with the promise to redeem the investment in 120 days with a paltry 6% return, which was never paid. Moneylife began to follow this Fund from November 2009 when it was clear that the payment wasn’t forthcoming. Initially, some investors received 40% and 100% using aggressive tactics. But soon, it was only promises. Mr Tuli first reacted with anger and even had his lawyer send us a long note. But, to his credit, the firm responded to investors, even if it was with yet another promise to pay. We also pointed out that SEBI had failed to follow up on its initial show-cause notice to Osian’s. Finally, nearly four years later the sponsor company—Osian’s Connoisseurs of Art Private Limited—has been ordered to wind up the scheme and pay investors within three months. This raises many interesting questions. The society pages of newspapers have reported many comeback attempts by Mr Tuli. Experts also point out that there may be a global financial crisis, but there is no slump in the value of artworks of artists like MF Hussian, Bikash Bhattacharjee, VS Gaitonde, Akbar Padamsee, Jogen Chaudhary, Somnath Hore and Tyeb Mehta, which were reportedly part of Osian’s investment. Three months down the line, we will tell you whether Osian’s complies with the order and liquidates its art to pay back investors or finds a way to buy more time. Or, more frighteningly, is it out of assets, money or artworks. 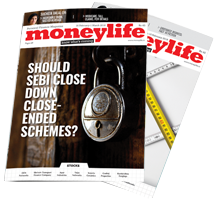 Moneylife has, by far, written the maximum number of articles on Osian's Art Fund which was launched, we argued, in violation of Sebi's rules for Collective Investment Schemes. Sebi has taken three years to finally move. Here is a partial list of our previous articles on Osian's. I truly applaud Moneylife's efforts right from bringing to light Osian's dubious intentions to taking it forward all along till this level with their apt articles and updates. I have been an investor in the Osian Art Fund. I have yet to receive the balance of my invested amount as well as the income/profits earned. I have submitted a letter to their office asking them to return the money as per the SEBI order. As far as my readings go, they have enough assets to pay back the investors. It is the intention which falls short. If he does not pay up then I guess it becomes a perfect case to file a criminal complaint with the police. Also, then his personal assets including the house at Carmichael road, offices across the country, his fleet of expensive cars, artworks at each location should be attached and auctioned. This will be more than enough to pay back with profit, each and every investor. I, on behalf of investors, seek Moneylife's further guidance on what can be done next. The Supreme Court said that the suppression by the Central Bureau of Investigation (CBI) that it shared the coal scam status report with the law minister is not ordinary. The court came down heavily on the CBI and has told the agency not to take any instructions from its political masters. The apex court has said that the details in the CBI affidavit on the coal scam are “very disturbing”. “There has been a massive breach of trust that has shaken our foundation,” the apex court said. The court said sharing information with the government has shaken the entire process. Media reports indicate that changes were made in the status report on the coal scam after a meeting with law minister Ashwani Kumar. CBI sources said they will not hide anything from the Supreme Court, which was hearing the case and will decide whether the government tried to influence the CBI probe. The political fall-out of the Supreme Court criticism of the law minister and CBI is severe. The Opposition is demanding prime minister Manmohan Singh's resignation after Additional Solicitor General Harin P Raval wrote a letter to Attorney General GE Vahanvati accusing him of interfering with the CBI's case in the scam. SC has not Told in Clear Terms that CBIs investing Scams by States Politicians not to Share their Investigation Details / reports to State Authorities. Even Union Law Minister tells that He Followed only Normal Existing Policy of Governing CBI. Thus it is Clear that States Ruling Politicians think and Act as though They are Controllers of CBI. Ofcourse, it is well Known Fact All States CID / Police,etc take Regularly Instructions from their Political Bosses, Eventhough They are all Paid by Indians Public Money and No Politician is Paying/ spending any Money. What a shame that people had beewn fooled by telling everyoine that it is independent and yet has always been under the ruling party. Anyone with self respect could have resinged and let the public know the truth. How does the chairman or other officers feel when being directed by SC for being fair. wow!!! finally, honorable supreme court of India has woken up, twice in this month,Apex Court has questioned the motive of CBI on this case; and EOW/SFIO, almost similar disturbing question in another case, where an ordinary man can see the political power play. I am not at all optimistic of any speed in justice, as a top priority to fast track on TAT is lacking. All right/left/center...are all together in licking the Honey (money) and act before public scoring points, evaluating to adopt a strategy, to prepare for 2014 Election. People like me inculcated legal rules n regulations, for so long..even now, I am struggling to get a loan of 5 Lacs. If I can compromise a little funds will flow, will be generous. But, my idea of a self sustaining start up is not to become Rich..but leave a legacy for future generations. These examples set by corrupts, make me to think of tweaking my strategy and join them in looting without any sense of guilt. The Unique Identification Authority of India (UIDAI) was set up by an executive notification dated 28 January 2009. As per the notification, the Planning Commission was to be the nodal agency “for providing logistics, planning and budgetary support” and to “provide initial office and IT infrastructure”. As part of its “role and responsibilities”, the UIDAI was to “issue necessary instructions to agencies that undertake creation of databases, to ensure standardisation of data elements that are collected and digitised and enable collation and correlation with UID and its partner databases”. It was to “take necessary steps to ensure collation of the National Population Register (NPR) with the UID”. And, the UIDAI “shall own and operate” the UID database. In July 2009, Nandan Nilekani was appointed as the chairman of the UIDAI, representing a lateral entry of a person from the private sector into the government, with the rank of a Cabinet minister. The UID project proceeded without a law, despite the seriousness of privacy and security concerns till, caving in to public pressure, a draft Bill was prepared by the UIDAI in June 2010; and it was not till December 2010, after the project had begun to collect resident data, that this Bill was introduced in Parliament. The Bill stayed close to the framework for corporate control over databases that was later enunciated in the report of Technology Advisory Group on Unique Projects (TAG-UP) of which Mr Nilekani was the chair, and which gave its report in January 2011. The Bill to give statutory status to the UIDAI was roundly rejected by the Parliamentary Standing Committee on Finance in December 2011. The Parliamentary Committee recommended that both the Bill and the UID project be sent back to the drawing board. There has been no effort since to reintroduce the Bill. Every time the UIDAI is confronted with questions about the legality of its enterprise, its officers assert that the executive order of 28 January 2009 is the legal instrument from which they derive their authority; and that order makes them the ‘owner’ of the database. • the “UIDAI Strategy Overview”, in April 2010, estimated that it would generate Rs288.15 crore annual revenue through address and biometric authentication once it reaches steady state, where authentication services for new mobile connections, PAN cards, gas connections, passports, LIC policies, credit cards, bank accounts, airline check-in, would net this profit. Those enrolling on the UID database have not been informed that their data is to be yield profit for the UIDAI; they were perhaps expected to read up from the UIDAI website. • the 2009 notification that set up the UIDAI says that the UIDAI is to “take necessary steps to ensure collation of the NPR (National Population Register) with the UID”. Registering in the NPR is compulsory under the Citizenship Act and the Citizenship Rules of 2003. Although biometrics is not within the mandate of the NPR, they have also been collected in the process of building up the NPR database. Therefore, the data mandated to be given to the NPR is being handed over to the UIDAI to be ‘owned’ by the UIDAI! I wonder how many in government are even aware of this investing of ownership in an entity that continues to remain deliberately undefined and opaque. • Biometrics Design Standards for UID Applications, prepared by the UIDAI Committee on Biometrics, December 2009. Collection of data of private citizens by the Government is a violation of our constitutional rights. Based on this data we will lose our right to SOCIAL EQUALITY because the Government will discriminate as a result of the data. I'm sure this violates several other rights. No wonder the UK discarded the project. Who will fight for our rights? Further who will listen that our rights are being crushed with impunity and nobody to look after, everybody is a silent spectator. Will India Discard the project....? You can't. The only thing you can do is prepare to flee to a foreign land where the laws are different. Countries respect foreigners if you especially bring dollars to the economy. Another way is to keep your head down when things get aggressive from the Government. Mr Nayak is the ruling dispensation least concerned about your or anybody's rights or are concerned with cornering money means hardly matters? or their slipping vote bank, please be frank enough to answer, I have read your articles on the web? Austrian Economics says that people act out of self interest and so did Adam Smith say the same thing. Governments are after all people who will act in their own self interest and will use all powers available at their disposal to preserve their self interest at the expense of the nation. This is why it is important we have independent institutions such as the Judiciary to balance the abuse of power. Only due to Judiciary we are able to see life in our country, but as per my knowledge goes no one was better ruler in India than ABV. AND NOW I feel if Narendra Modi is given a chance he might equal or surpass ABV. Narendra Modi is our only chance left. He may want to break out of the BJP and start a US presidential style campaign himself. The BJP is also corrupt since they have tasted power. Before that they were considered rulers. ABV has had his shortfalls. Today an ABV would be considered a toothless PM. We need a hands on PM like Narendra Modi. I 100% agree, not only as PM, but the same person in PRESIDENTIAL form if possible but our rules and regulations plus our CONSTITUTION. I think that it is shameful that government has cheated by way of privatising UID data without prior information and consent of the people. This is and insult to the constitutional guaranteee of personal freedom and the government should be taken to the court through a massive PIL. My Dear Sir, who are people in their eyes they are simply insects. When did not pass Jan Lok Pal Bill inspite of such protests, whom do you think they will hear---only and only STRONG NON CORRUPTIBLE media can bring them to their knees. As soon as this project is complete, they'd soon bring a law like CISPA in place, so that data sharing amongst departments does not require court permissions. We're just imitating the west. No doubt they will try to bring the law but at present does not seem practicable because if CONGRESS does not come to power it might be the end of UID................? MLF should keep up with the good work they are doing? Congrats to the team and especially Mr Basu, Ms Dalal. Would Moneylife & Sucheta Dalal send a public invite to Nandan and ask him to clear all our misgivings about Aadhaar. If he refuses to participate then he will be confirming our worst fears. Well, when he no longer replies to emails (which he did earlier), what is the chance he would come to a public meeting? Forget about us, even very senior technology gurus, who knew Nandan Nilekani who have served on top technology committees with him get vague replies, that too occasionally. I HAVE HEARD THAT THERE IS UNOFFICIAL HO at Infosys Bangalore. Is it right. Even the emails sent at official UIDAI are not replied. This is the peculiar characteristics of so called transparency. By now we should understand that the word Transparency was USP for selling some one's business in seminars and next day Fragile Publicity. I don't know if we the people are unique in our ignorance or if the administration that allows functioning of a non-valiodated body is unique in allowing such sensitive data to be collected and managed by private/autonomous NIUs. But certainly the Authority is as unique in its own identity as are so many of us in allowing all this tamasha at our cost! The so called "open architecture" is a mockery. It is infact a walled garden (http://en.wikipedia.org/wiki/Walled_gard..., just like the iOS. Just like we have apps for iOS our tech czar is trying to emulate the same. The similarity to iOS should have been evident from the hackathon conducted by the Planning Commission recently. The link seems to be broken due to the "...". Here is the complete link. Hope the fanbois of the UIDAI are able to digest how the whole country is being taken for a jolly ride. Congratulations to Usha for bringing out ant important aspect of the whole obnoxious UID scheme. Sorry, the word should be 'scam' not 'scheme'.